Two students from Hearthstone school, Aiden Farmer and Joseph Carlson, recently received awards for essays they wrote to compete in an annual contest held by The Benevolent and Protective Order of Elks. The theme this year was "What Makes You Proud of America?" and was for students grade 5 through 8 in order to promote patriotism among young students. Aiden Farmer placed first, followed by Joseph Carlson in second place. Plaques were awarded by the Grand Lodge for 1st, 2nd, and 3rd place for national winning essays in Division I and Division II. 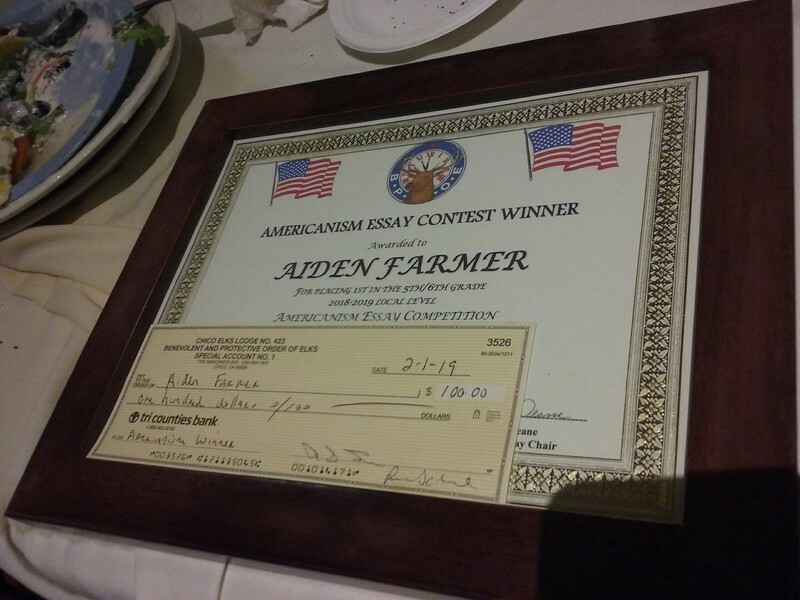 In order to submit an essay the student had to be in the 5th, 6th, 7th or 8th grade at the time of the contest and the essay could not exceed 300 words. Essays were submitted for judging to the Elks Lodge nearest to the address of the entrant.